Arrhenius acids/bases are briefly mentioned throughout chapter 12. Is this something that we should familiarize ourselves with? Topic: Do I use an ICE box? Re: Do I use an ICE box? For this question, do we have to divide by the coefficient of Br, 2? I think the easiest way to finding the direction of a reaction is by using an ICE table. I have also found several charts on google that help with memorization like this one below! 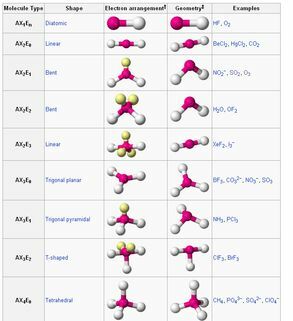 What did the bartender say when oxygen, hydrogen, sulfur, sodium, and phosphorus walking into the bar? OH SNaP! If Iron Man and Silver Surfer teamed up, they'd be alloys. Topic: Giving the chemical formula of compounds. Re: Giving the chemical formula of compounds. Are we supposed to figure this out by drawing the electron configuration? It also helps to draw out the Aufbau structure of the highest energy orbital to visualize this. Aside from the Copper and Chronium, are there any exceptions that we need to be aware of? I heard they make up everything. If long wavelength light is not ejecting electrons from a metal surface will increasing the intensity of the light result in electrons being ejected? Justify your answer. Is 3.00 x 10^8 m/s a constant that is used for all C=λv equations? this thread is too long :((( and all the good chem jokes Argon(e).